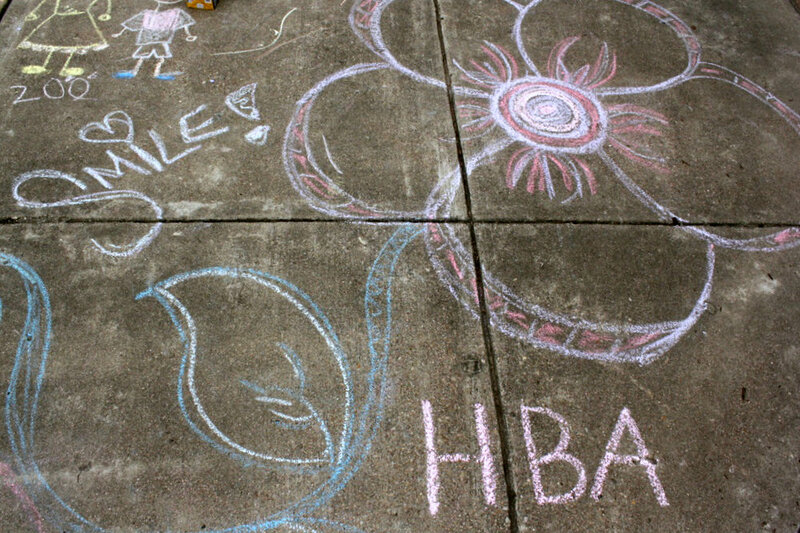 A little rain was hardly enough to scare away HBA's volunteers from the HOPE Farmer's Market. Among the faces of friendly and talented locals, students were given the task of setting up different activities for the thriving community to enjoy. Games such as corn hole, ring toss and rubber ducky bobbing kept the kids entertained while adults relaxed among vendors, a free yoga class, a live band, vendors and a petting zoo. "We went to this event last year and absolutely loved it. This year, they had a county fair that they needed volunteers for, and we were more than happy to help out," junior External Relations Vice President Sai Yeluru said. "HOPE Farmer's Market is a uniquely Austin event, and we felt that it would be a great way for HBA to give back to the Austin community." Despite the drizzle, volunteers were still able to have a positive experience. 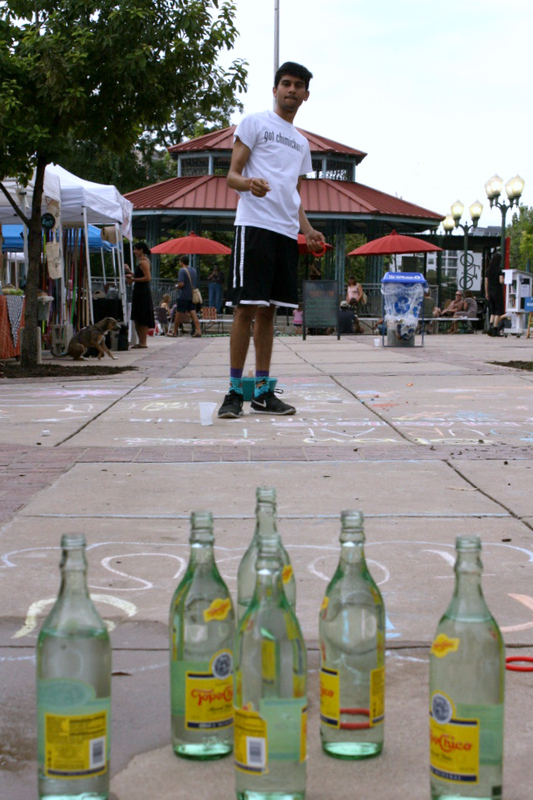 "Even though I was volunteering, I basically just drew with chalk, hula-hooped and went around eating food the whole time," freshman Siji Deleawe said. "It was a lot of fun and I would 100% do it again and recommend that others do it too!" At the end of the day, HBA was invited back to visit the HOPE Farmer's Market again in the future, both as volunteers and community members. Whether it's the killer brisket, adorable succulents or outgoing residents of the east side that attract the fair's visitors, HBA members can rest assured that there will be something for everyone at the next event.